Happy to visit the secondary school very early on Monday morning, with the Sunshine & Moonlight Mosaic panels. 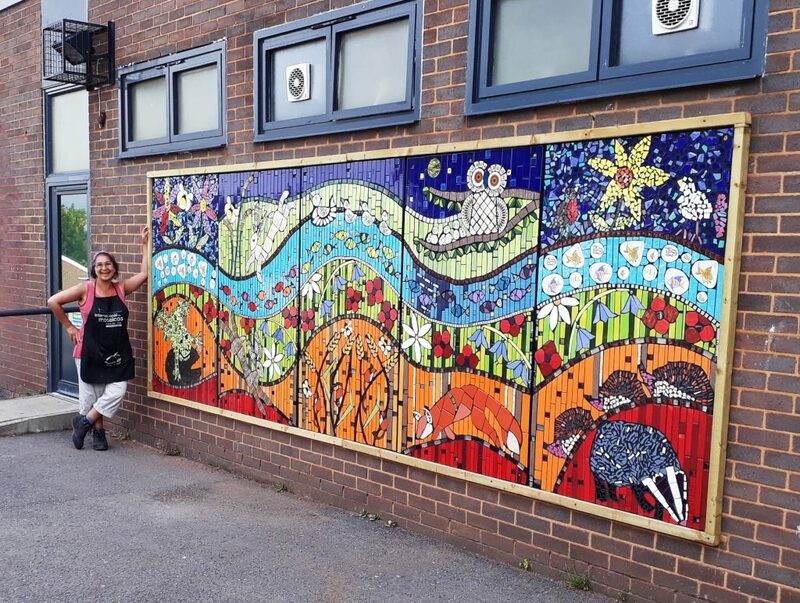 Was so pleased to see the Wild Life Mosaic Mural commission now installed in a prominent place for all the school to see. Delightful !